Ben Zimmerman holds a Master's of Science in Information Science (MSIS) with a focus in Geoinformatics, as well as a Bachelor's of Information Science (BSIS) with a minor in Computer Science. While in graduate school, he worked as a graduate student researcher at the Center for National Preparedness. His graduate career included several research publications, including one journal article in the Journal of Computing in Civil Engineering, one international magazine article, as well as several conference proceeding publications. He has experience in the Nuclear Automation business unit of Westinghouse Electric Company's Data Display and Processing group. Ben was employed as the Microsoft Student Partner for the University of Pittsburgh during his undergraduate career, organizing campus events and promoting Microsoft products to students and organizations. 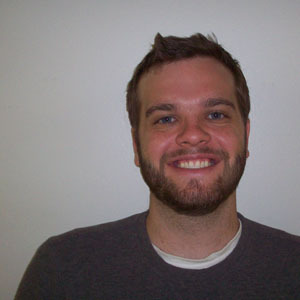 Ben has also held two internships with Reaxis, Inc. The first internship was focused mainly on re-tooling their public web site into a dynamic site, with a content management backend. The second internship was to design and implement a custom-built material resource planning (MRP) system for Reaxis, Inc. which is hosted internally.